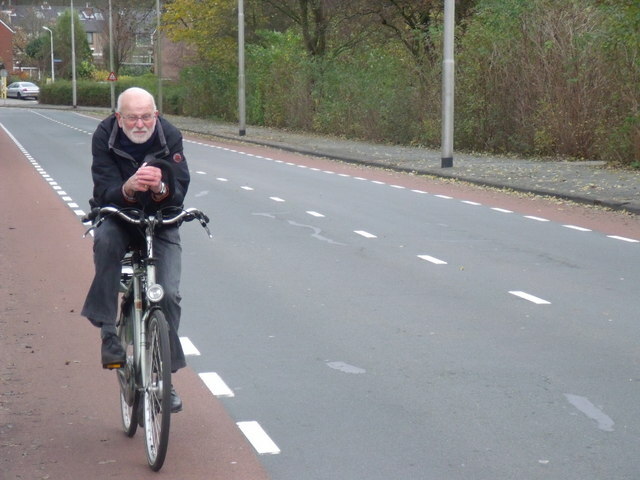 The Cycling Dutchman: Sharing the road or segregated cycle paths? Well, it is both! Sharing the road or segregated cycle paths? Well, it is both! 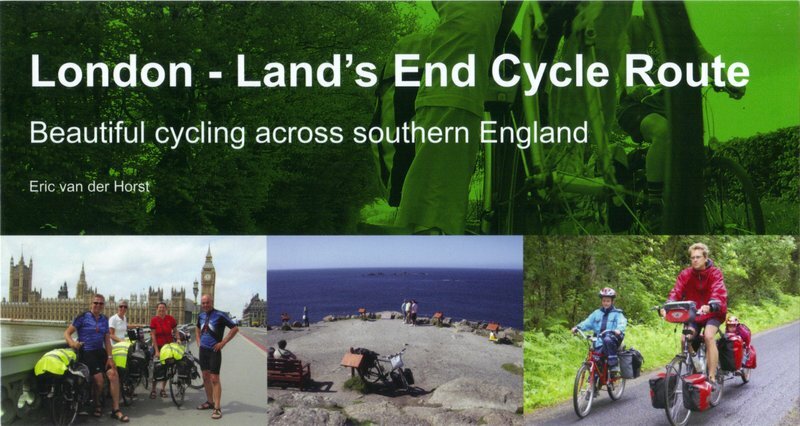 I recently attended a Cycle Nation conference in Bristol and during this conference I sensed a historic divide between “two camps”. On one side, you have those who love to see traffic-free cycle paths being implemented in the UK everywhere (“segregated”) and on the other side, there is a group that strongly prefers “share the road”-models. There is a sense in the UK cycling world that a choice is needed between these two models, but by this article I want to demonstrate that the successful cycling model of The Netherlands is really a mix of both! Generally, you’ll find segregated cycle paths alongside busier roads. These are generally of a high quality, designed to keep even racing cyclists going at a reasonable speed. This means a smooth surface, no tight corners, priority at side road crossings and no sudden endings like we see so often in the UK. Where there are no cycle paths (and yes, there are many Dutch roads without cycle paths!) severe traffic-calming has been put in place to ensure cyclists have just an enjoyable experience as like they were cycling traffic-free. To demonstrate this Dutch dual approach, I asked my retired dad to take some pictures of his weekly 6 km (3.7 miles) ride between two suburban towns just south of Amsterdam. His ride starts in a housing estate in my old home town Uithoorn and ends at the leisure centre in Aalsmeer, where my dad normally plunges in the pool for a well-deserved swim. On the map you'll find on-road route sections marked in blue and traffic-free "segregated" route sections in green. 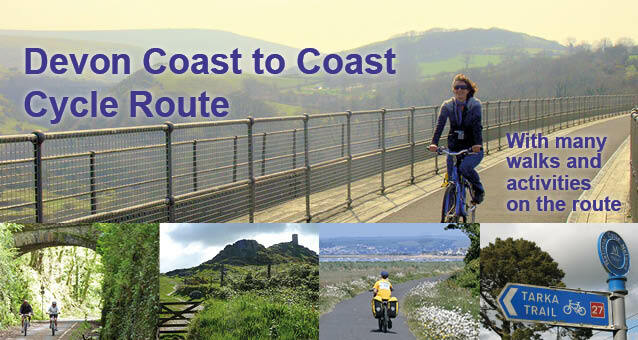 Note there are various routes available, like a southern scenic route via a quiet country lane. This route is nearly entirely on-road and is marked with a dotted line. In this article we limit ourselves to the most direct route; the route a commuting cyclist would take. Looking at the first picture of the "commute route", you’ll see the homes and the paved roads which still look much the same as when I grew up in the 1980s. Since then, there have been some significant on-road changes though to keep cycling fun and enjoyable. A 30 km/h (20mph) speed limit is now in force for the whole area, enforced by high speed bumps at every junction. The busier cross-road junction on my way to school has been replaced by a roundabout, with “priority for cyclists” cycle path crossings all the way around the roundabout. Immediately beyond the roundabout, the cycle paths end and the “sharing the road” model in a 20 mph speed limit environment continues. This is a great example of the Dutch mix of “shared road” and “segregated”. In places where cyclists need further protection, the traffic-free cycle paths immediately kick in. Where the risks are lower, "sharing the road" lay-outs are used. Cycling is easy in another residential street where a 20 mph speed limit is in force. Again, speed bumps have been put in place. This road generally only gets used by those who live here, but is an important link for cyclists. Only for pedestrians and cyclists, it is possible to leave this housing estate at the other end. At the end of this road, my dad takes a short-cut away from the residential area, which has been here since the estate was built. This is a wide, well-lit cycle path with segregated space for pedestrians. The next section of our route may alarm some fans of Sustrans cycle paths on dismantled railway lines. My dad now cycles into a cycle path tunnel parallel to a bus route, both on the course of a dismantled railway line. In a space of about 16 m wide, the Dutch have managed to squeeze in a dual lane bus route with various stops and a wide cycle path. This may be a far cry from the traditional English “greenway” railway paths, but this Dutch railway cycle path scores high in terms of social safety. It is well lit once again and the high frequency of buses makes that women happily use this cycle route in the dark. This factor of social safety gets often overlooked in the UK when designing cycle paths. Also interesting, the bus stops on this route truly act as transport hubs, with lots of bike parking stands for those who are changing from bike to bus and vice versa as part of their daily commute. Further west, the cycle path naturally joins a cycle path alongside a busy main road. This picture shows where this cycle path crosses a side road. This side road used to be a quiet country lane when I was young. A cycle path crossing with priority for cyclists used to be sufficient. Since then, this area has been increasingly taken over by the Dutch greenhouse flowers industry, so, to secure a safe crossing for cyclists amidst increasing traffic, these lights have been installed. Note one press on a button is enough to cross the entire side road! Further west, my dad makes his way to a very interesting junction. The N201/N231 main road junction at the east end of Aalsmeer town handles 50.000-60.000 vehicles per day. It is only a stone’s throw away from the biggest flower auction of the world. The vast majority of flowers and plants sold worldwide are hauled by a lorry taking this junction (making you think about the green credentials of flowers and pot plants!). The junction is completely controlled by traffic lights, including safe crossings for cyclists. A five minute sequence allows every side of the junction a green light for one minute (motorised demand monitored by sensors) and one of these minutes is reserved for cycling! As you can see in the pictures, cyclists just have to cue as motorists to wait for their go, having to press a button as required. Once the green light appears, cyclists can take the full junction in total safety! Another cycle path away from this main junction takes us now south, where another cycle path “short-cut” takes us into another housing estate. This is where my dad’s cycle journey goes on-road again. It is therefore greatly important that you notice the 30 km/h (20 mph) speed limit signs. Again, this shows how well the Dutch road system caters for cyclists. The segregated cycle path route ends, but there is immediately a 20 mph speed limit kicking in to protect cyclists on their further on-road journey. No further speed limit enforcement is in place in this housing estate, but another continental “traffic calmer” here is the “traffic from the right goes first”-rule. There are many side roads on this road. In contradiction of what a UK-road user may think, “minor road”-users from the right go first here, making it essential to reduce your speed at every junction, being ready to stop for side traffic from the right. The journey ends on a slightly busier road in this Aalsmeer housing estate. Wide cycle lanes are in place here. Those with eye for detail will notice how these cycle lanes are continuous at the zebra crossing and the island in the center of the road. This picture, with the red car turning right, also explains something else. In The Netherlands, this type of cycle lanes is wide spread and Dutch learner drivers are taught always to look in their mirrors and to look over their shoulders first to check for cyclists before turning across this type of cycle lane. The cyclist heading straight on should go first! This driver's attitude is light years away from the attitude of a typical UK driver. He/she probably wouldn't even notice the cycle lane and definitely wouldn't look so extensively for cyclists before turning. This is an important issue when trying to implement Dutch cycling infrastructure solutions to the UK. 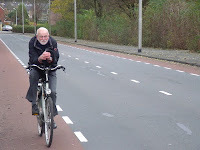 The current Dutch cycling infrastructure and road calming are a result of a 40 year evolution and Dutch people are completely accustomed to it. British people have been brainwashed by 5 decades of motorised priority. A change of driver's behaviours with a serious reduction of speed limits on many roads is needed. Another issue is that most Dutch housing estates are built post WWII and very spacious, whilst many English urban areas are dating from the Victorian age and very densely built, not to mention its more hilly nature. This makes the task ahead challenging, but not impossible. Also in hilly and older urban areas, the Dutch have managed to implement their cycle-friendly layouts. Whatever the way, it will always be a combination of “sharing the road” and “segregated” models. It can never be one or the other, just like in The Netherlands. Some positive notes from a UK-perspective; Bikeability is a great tool to make more people comfortable with on-road cycling. Also UK-style bike stands replace more and more Dutch "front-wheel" bike stands as in this picture at the Aalsmeer leisure centre; my dad will be keen to use them. For now dad; thanks for the pictures, have a good swim and enjoy the ride back! What about getting on your bicycle yourself with one of my "Cycling Dutchman" guidebooks? 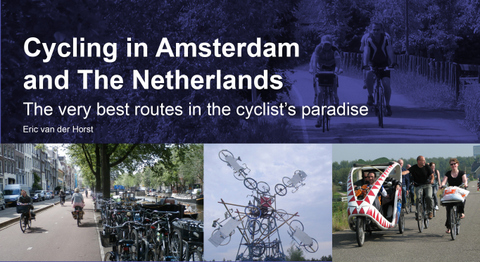 Cycling in Amsterdam and The Netherlands - The very best routes in the cyclist's paradise makes you travel beyond Dutch cliches like clogs, windmills and the Amsterdam red light district, allowing you to truly explore the lowlands. The book features 1064 kms of routes and has special chapters explaining the unique Dutch cycling-minded traffic rules and its cycle route signage systems; 164 pages, colour, wiro bound, fits in standard handlebar bag.